Did Carl Sagan say there were billions and billions of stars; does that mean we have no doubt of life on other planets? Best Answer: You may have no doubt, the rest of us will wait for proof. No, that only means there are "billions and billions of stars"
but we don't know the probability one planet can sustain life. especially Drake equation 4th parameter: fl = the fraction of planets that could support life that actually develops life at some point. Science is not based on beliefs. So the only acceptable answer is "we don't know, so let's search again and again". However, scientists are allowed a personal feeling. On my side, I don't believe, but I "would bet" life is very common even unavoidable as soon as conditions become favorable somewhere because we found amino acids in interplanetary dust, as well as in comets. Until proof can be found outside of earth's influence, there will always be doubt. But, all it takes is fining one little bacterium or microbe on Mars, or Europa, and it's a whole 'nuther ball game. Yes, he said that there are "billions and billions" of stars in our galaxy alone, but he wasn't commenting on the likelihood of finding life. However, as a scientist I personally do believe that there's carbon-based life on other planets in the galaxy. We've found so many planets already in our infancy of discovering extrasolar planets. There could be other forms of life on this very planet, in fact! There are many other theoretical biochemstires that could support life; silicon-based life has long been theorized. The question is would we even recognize what that kind of life looked like? No, it means that, statistically speaking, it's incredibly likely that there is life on other planets. Yes he did and no, that is not what he meant. I once read an anecdote by a man involved in SETI. He was present as a new radio telescope was initiating its search, and as the astronomers started watching for signals the sense of anticipation was palpable. But this soon turned into boredom as nothing was turning up. 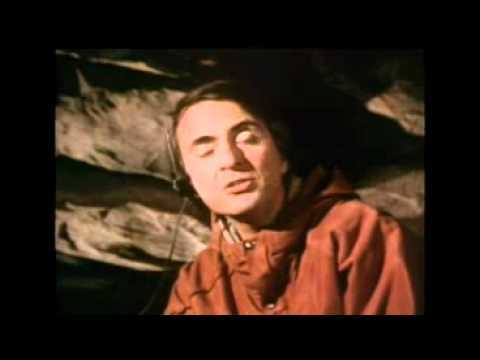 Carl Sagan, he said, had a similar experience at the debut of an earlier SETI radio telescope. Whether or not there is life on other planets is subjective. No one knows for certain. A recent report deserved more attention than it received: astronomers found that phosphorus, without which life on Earth could not exist, may only be produced by a rare type of supernova. This could have a dramatic effect on the Drake Equation! Billions of planets makes life likely, but until we find it we can't know for sure. It is possible that the formation of life is so improbable that it only happened once in the whole universe. Yes, he said that. No, that's not what it means, but the fact is that we have almost no doubt that there is life on other planets.